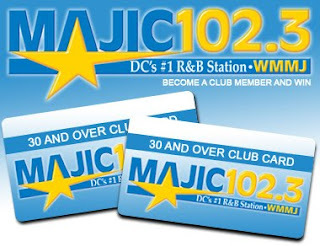 You can not only become a club member, you could become a member "on the air" at the station. Last week Majic 102.3, Radio One's Washington, D.C. Urban AC station fired their entire on-air staff. The reason given was that according to the PPM electronic ratings devices, listeners seemed to tuned in longer when they didn't hear chatter from the DJ's. Well this week, the real reason is revealed. WMMJ is now advertising for three on air positions on Radio One's corporate website. Usually new PD's try to get to know the market before making drastic changes at a station like firing everybody; however newly arrived program director Jamillah Muhummad is ready to put her imprint on the station. Muhummad joined the station a month ago after being PD at Clear Channel's Mix 92.3 WMXD in Detroit.